Concrete way to explore geometry, volume, and other measurement concepts. Removable bases allow for relating 2-D shapes to 3-D solids. Easy to fill with liquid or dry items, and easy to clean. Includes large triangular pyramid, square pyramid, hemisphere, sphere, cone, pentagonal prism, small and large cube, rectangular prism, triangular prism, cylinder, and Activity Guide. 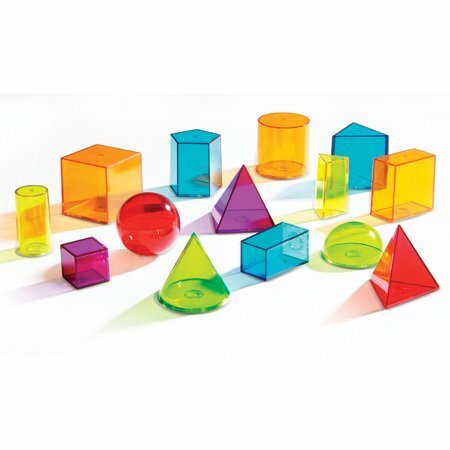 Colorful plastic shapes measure 3 cm or 6 cm.